Hardcover, 9.5 x 11.75 in. / 230 pgs / 151 color. Edited with text by Christopher Bedford, Katy Siegel. Text by Peter James Hudson, Anita Hill, Sarah Lewis, Katy Siegel, Zadie Smith, James Baldwin, W.E.B. DuBois. Interview by Christopher Bedford. 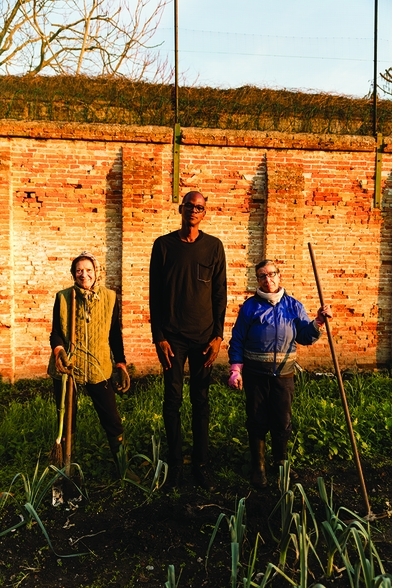 Mark Bradford’s exhibition for the US Pavilion at the 2017 Venice Biennale, titled Tomorrow Is Another Day, is born out of the artist’s longtime commitment to the inherently social nature of the material world. 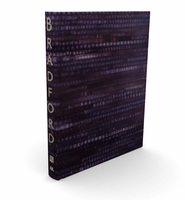 For Bradford, abstraction is not opposed to content; it embodies it. Finding materials for his paintings in the hair salon, Home Depot and the streets of Los Angeles, Bradford renews the traditions of abstract painting, demonstrating that freedom from socially prescribed representation is profoundly meaningful in the hands of a black artist. Mark Bradford: Tomorrow Is Another Day is not only a catalog for Bradford’s pavilion project; it is a different kind of book, a substantial publication that blends the biographical with the historical and political. Essays from outside the art world—by Anita Hill, Peter James Hudson, W.E.B. Du Bois and Zadie Smith—narrate a series of interwoven stories about Reconstruction, civil rights and the vulnerable body in urban space, fleshed out with vivid archival photographs and documents. The book also includes significant new texts from curator Katy Siegel and art historian Sarah Lewis, as well as a revealing interview with Bradford, offering a new understanding of the work of one of today’s most influential contemporary artists. 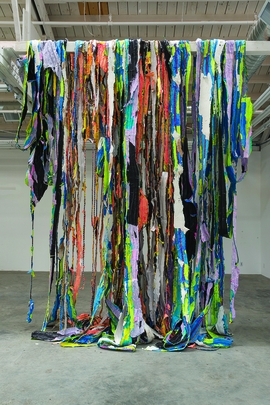 Mark Bradford was born in 1961 in Los Angeles, where he lives and works. Best known for his large-scale abstract paintings that examine the class-, race- and gender-based economies that structure urban society in the United States, Bradford’s richly layered and collaged canvases represent a connection to the social world through materials. Bradford uses fragments of found posters, billboards, newsprint and custom-printed paper to simultaneously engage with and advance the formal traditions of abstract painting. Bradford’s work embodies a generosity of spirit that, for all the cruelty of White House politicians, can never be occluded within the US landscape. 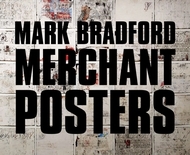 Mark Bradford is our Jackson Pollock.... Bradford's project sets out a powerful vision of the artist's role in society. True to the title of his exhibition, Bradford has led us through the dark handicaps, painful questions, and seething affliction that beset America, sending us off with a final vision of a defiant walk into the future. His work, while full of uncompromising beauty and awe-inspiring technical prowess, confronts us with issues of race and queerness. At a time of political strife and regressive policies, Mark Bradford is just the artist we need right now. a complex dialogue about America, painting, aesthetics, identity and history, as it pushes the boundaries of abstraction. 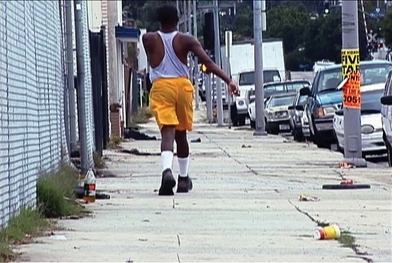 The works make the urgency and immediacy of this moment physically palpable. I have long admired Mark’s prophetic artistic voice, and with this presentation I truly experienced the unique alchemy of his vision. Mark Bradford is managing to produce stunning, kinetic abstract paintings—a genre that traditionally refutes political expression—while also investing every project with meaningful efforts for social change. It’s a panoramic offering that brings together the wise, ever-relevant words of James Baldwin and W.E.B. Du Bois, with the highly readable contributions of Anita F. Hill on the intersection of law, policy, art and injustice; Sarah Lewis on the art of productive dissent; and Zadie Smith on Bradford’s video “Niagara” and the larger meaning of one’s strut, swagger and sway. The only thing that you’ve got is people along the way who are going to help you, that’s it. FORMAT: Hbk, 9.5 x 11.75 in. / 230 pgs / 151 color.